Motions to lift the stay must comply with the various rules. The most common type of motion in consumer bankruptcy practice is a motion to lift the stay. Such motions are typically brought by a secured creditor, such as a mortgagee or auto lender, because the debtor has fallen behind with his or her payment obligations. Almost all creditors’ attorneys now bring “lift-stay” motions by filing and serving a “notice of presentment of a proposed order lifting the stay,” as this type of application alleviates the need to make a court appearance unless opposition is filed. However, the judges in this district have strict chamber’s rules pertaining to how such applications can be brought, which are in addition to Bankruptcy Code and local rule requirements. The various court rules seek to protect a debtor by requiring that various due process requirements be satisfactorily addressed. Lift-stay motions often contain fatal mistakes. Most lift-stay motions are prepared by secretaries and paralegals. A large percentage of these applications are not sufficiently reviewed by supervising attorneys and do not meet all of the court’s requirements. Consequently, it is often possible to spot a fatal procedural flaw, which, if brought to the attention of the court, could end up buying your client more time in their home. A former law clerk estimated that as many as one-fourth of all lift-stay motions are initially defective. Reviewing a lift-stay motion for errors can help your client. Even in situations where there is a low likelihood of the debtor ultimately saving the subject premises, you may be able to extend the debtor’s time in the house by bringing these fatal flaws to the attention of the court. No matter how solid a creditor’s position is, the creditor still has an absolute obligation to make sure that its motion papers are properly prepared and conform to the Bankruptcy Code as well as local rules and chamber’s rules. I have focused the following discussion primarily on lift-stay motions brought by mortgagees (as opposed to other secured creditors like car loan lenders), as efforts undertaken by a foreclosing mortgagee will probably affect your client the most. However, the same principals apply to all lift-stay motions. Were the motion papers properly served? Make sure that service of the motion was proper. The moving party must file with the court an affidavit of service or certificate of mailing indicating that all proper parties were served. This includes the debtor, debtor’s counsel, and the bankruptcy trustee, all of whom are indispensable parties who must be joined. In addition, notices of presentment must have a time period of at least 20 days from the date of service to the date of presentment. Did the motion include the necessary supporting documents? A motion to lift the stay must include a copy of the mortgage note and mortgage, and these documents must show the date of recording. In addition, the debtor must be a party to the note or mortgage. All exhibits must be legible. This is important as exhibits are often generated from microfiche where the legibility may be poor. Did the moving party establish standing? Mortgages are frequently assigned. If the moving creditor is not the same entity as the creditor set forth in the mortgage and note, then there must be a recital in the motion papers explaining that either the mortgage was assigned or that the movant is a servicing agent. If the mortgage was assigned, a copy of the recorded instrument of assignment must be attached to the motion papers. If the movant is the servicing agent, then the motion papers must contain a copy of the servicing agreement or power of attorney authorizing the servicing agent to take legal action to enforce the mortgage. Is there a supporting affidavit from the loan representative? It is elementary law that all motions must be supported by an affidavit from someone who has actual knowledge of the relevant facts. Accordingly, there must be a notarized and executed affidavit from a loan representative. This affidavit must set forth the post-petition payment defaults and the total amount of the mortgage indebtedness. In addition, the affidavit must either indicate that the stay should be lifted for cause, in which event the specific cause should be set-forth, or the stay should be lifted because the mortgage indebtedness exceeds the value of the property. Finally, the affidavit must correctly identify the address of the subject property. Has the mortgagee properly demonstrated the value of the property? When the mortgagee asserts that the ground for lifting the stay is that the mortgage indebtedness exceeds the value of the property, then the mortgagee must include a valuation report such as an appraisal or broker’s price opinion letter as an exhibit to the motion. The valuation report must be current, which generally means that it must have been made within the preceding 90 days, or within 90 days of the petition date. Anything older than that can be considered obsolete. The valuation report must be signed and must also contain language in the form of an affidavit that the person who prepared the report attests that he or she is disinterested and is not a broker or selling agent under a listing agreement and does not anticipate acting as the broker or listing agent for any party in interest. The person who signs the valuation report must include a statement of his or her professional qualifications. The report must contain a suitable description of comparable values of properties that have been recently sold. If the moving party is taking the position that the mortgagee lacks adequate protection, then the moving papers cannot contain any inconsistent statements which indicate that the mortgagee is fully secured. In lieu of providing a valuation report, the mortgagee can rely on the debtor’s admission of the value of the property as indicated in the debtor’s bankruptcy schedules. In such an event, the creditor must include a legible copy of the debtor’s schedule “A” or “D” as an exhibit. Is the motion seeking proper relief? Generally, a motion to lift the stay, when brought by notice of presentment, may not seek any type of equitable relief other than an unadorned vacating or modifying of the stay to permit the mortgagee to enforce its state law remedies. Accordingly, a proposed order cannot seek payment of costs and attorney’s fees as this creates an inconsistency between section 362 (a)(d)(2) and section 506 (b). What happens if you demonstrate a fatal error? The mortgagee must usually start the entire motion process all over again. This means that the mortgagee must take the necessary time to correct and amend its motion. The mortgagee must then re-serve all necessary parties, and begin the twenty-day time period all over again. This can get your client an extra four to six weeks or more in their home. Keep in mind that this article focused on utilizing procedural errors as a defense. There are numerous substantive issues that you can raise as well. Long Island Bankruptcy Attorney Craig D. Robins, Esq., is a frequent columnist for the Nassau Lawyer, the official publication of the Nassau County Bar Association in New York. This article appeared in the November 2004 issue of the Nassau Lawyer. Mr. Robins is a bankruptcy lawyer who has represented thousands of consumer and business clients during the past twenty years. He has offices in Medford, Commack, Woodbury, Patchogue, Mastic, Coram and Valley Stream. (516) 496-0800. For information about filing bankruptcy on Long Island, please visit his Bankruptcy web site: http://www.BankruptcyCanHelp.com. With our turbulent economy, even established businesses may find it difficult to cope with their ever increasing trade debt, pay their taxes, and deal with secured creditors. An option available to a financially troubled company is to seek protection afforded by a bankruptcy reorganization. Chapter 11 enables a business to obtain protection from its creditors while it attempts to reorganize its debts and pay them off, at least partially, over a period of time. Chapter 11 relief is available to virtually any business whether it is a sole proprietorship, partnership or corporation. Scope of This Article. Many of my previous articles focused on consumer bankruptcy practice and procedure. Chapter 11 business bankruptcy, however, is infinitely more complex than consumer bankruptcy, and is not recommended for the casual bankruptcy practitioner. Competent representation of a business in reorganization requires a thorough knowledge of the entire bankruptcy code and local rules, together with a keen understanding of local chapter 11 practice and procedure. Therefore, this article will provide an overview of what chapter 11 is about, to better enable you to adequately advise your small business clients as to whether chapter 11 should be considered as a viable option, and if so, what may be expected. In the event chapter 11 looks like a distinct possibility for your client, consider referring your client to a bankruptcy attorney. I will present this article in a three-part series. Comparison With Other Chapters. Consumers utilize chapter 7 to eliminate most debts, and they generally use chapter 13 to keep real estate and stop foreclosure while paying off their debts with a payment plan. Individuals who ordinarily would file chapter 13, but are prevented from doing so because they have more than $290,525 in unsecured debt or more than $871,550 in secured debt, can utilize chapter 11. Corporations may file chapter 7 as a means of orderly dissolving a debt-ridden corporation that does not want to continue operating. Any significant assets of a corporate chapter 7 debtor are liquidated by a trustee. 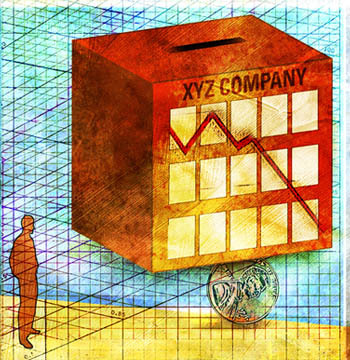 Corporations may not file chapter 13. Situations Where Chapter 11 Is Beneficial. Unfortunately, most chapter 11 proceedings are filed only after a company has gotten so seriously into debt that it can barely continue functioning, or the company may be facing a creditor who is threatening to take drastic collection action. In advising a financially troubled company, you should explain that bankruptcy considerations should not be put off too long while the principals of the company hope that business will turn around. Instead, a bankruptcy filing should be taken as a more preventative measure at the early signs of financial difficulty, rather than as an emergency measure done under extreme pressure. Perhaps the most common situation in which a company is forced to quickly file chapter 11 is when numerous trade creditors have already begun significant collection activity, which may include the initiation of law suits or the enforcement of judgments. Another common emergency situation is when one of the taxing authorities threatens to levy a bank account or padlock the door. Pressure from secured creditors to repossess key equipment, or from a mortgagee to foreclose business property, are also reasons to seek immediate chapter 11 protection. Sometimes a bankruptcy reorganization may be used for less apparent reasons, such as to terminate a highly unprofitable lease or contract. The Chapter 11 Petition. The petition is essentially similar to the official form used in chapter 7 cases. Thus, the debtor must list all of its creditors and amount of debts; list all assets and property; set forth a statement of income and expenses; and disclose pertinent financial information. In addition, there is a schedule of the “top twenty” largest debts owed to non-insider creditors; an exhibit setting forth whether the shares of stock are registered with the S.E.C., and who the majority shareholders are; a schedule of all equity shareholders; and a corporate resolution authorizing the retention of the bankruptcy attorney and the filing of the chapter 11 proceeding. In addition, local rules require an affidavit from an officer of the debtor setting forth the estimated weekly payroll and operating expenses for the thirty day period following the filing of the petition, the estimated gain or loss in the operation of the business during this period, and information that will fully inform the court as to the desirability of the debtor continuing business. Emergency Filings. A chapter 11 petition can be filed in an emergency by filing a skeletal petition. The remaining documents must be filed within a period of two to fifteen days, depending on the document. Chapter 11 petitions must be filed electronically. The Chapter 11 Attorney. 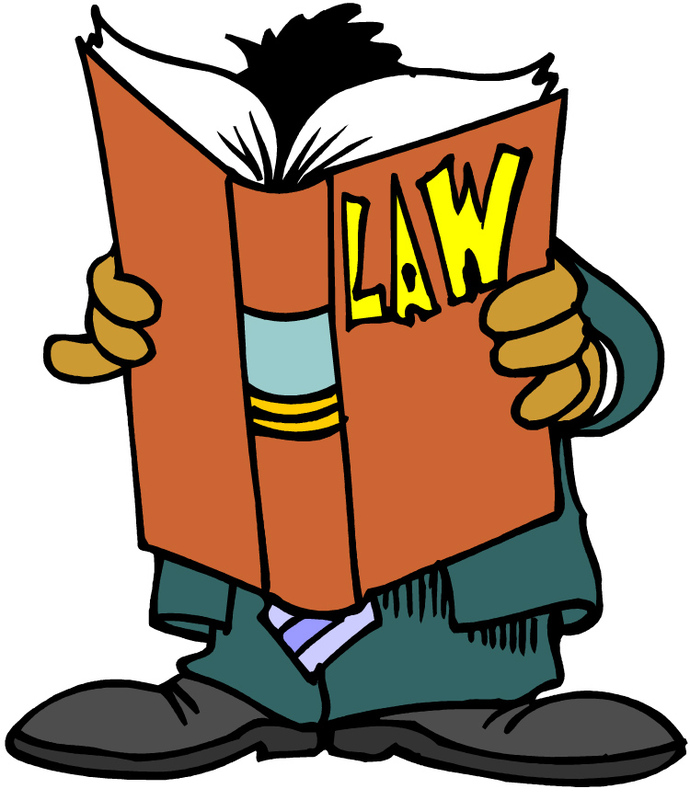 An attorney representing a chapter 11 debtor must be authorized by the court to represent the debtor. In addition, once the petition is filed, the attorney is not entitled to earn any legal fees until the court issues a written order authorizing the attorney to represent the debtor. For this reason, the bankruptcy attorney will prepare a “first day” application and order requesting approval to be retained by the debtor. The application, which is submitted on the first day of the bankruptcy, must set forth the attorney’s previous chapter 11 experience and qualifications, as well as the attorney’s hourly rates. In addition, the attorney must submit an affirmation of disinterest indicating that he or she represents no interest adverse to the debtor or the bankruptcy estate. Legal Fees. Because of the extensive amount of work involved in chapter 11 proceedings, legal fees tend to be rather substantial. Virtually all chapter 11 attorneys are compensated on an hourly fee basis. The attorney will usually request a sizable retainer that is paid prior to filing. The amount may depend on the size and volume of the debtor’s business, the number of creditors and amount of debt owed, the attitude and aggressiveness of the creditors, and the extent of issues requiring litigation. A typical retainer for a small business reorganization is usually $10,000 and up. Most bankruptcy attorneys will also require the principals of the business to personally guarantee the legal fee. One of the reasons that a large retainer is necessary is because the attorney may not receive any additional legal fees unless authorized by the court. 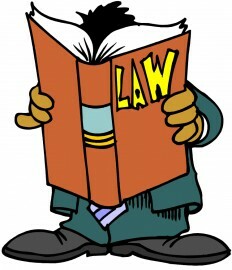 The bankruptcy rules limit the number of fee applications the attorney can make. Thus, once the petition is filed, the attorney will not see any additional legal fees for many months, if at all. The bankruptcy court takes a very active role in monitoring the legal fees paid by the debtor. Therefore, the fee application itself is a rather involved process requiring a court hearing. The court will only compensate attorneys for necessary legal work, and then, only in an amount which is reasonable. Scrupulous time records are necessary to substantiate the legal work performed. Many attorneys have been criticized by the court for failing to keep proper time records and have suffered accordingly. Some judges are particularly notorious for imposing elaborate record-keeping requirements on counsel. Court Fees. The current filing fee for chapter 11 is $839. In addition, there are quarterly fees payable to the United States Trustee until the case is confirmed, based on the amount of the debtor’s disbursements. The Automatic Stay. As with all bankruptcies, an automatic stay pursuant to Bankruptcy Code section 362 goes into effect immediately upon filing the petition. The automatic stay acts as an injunction to stop all foreclosures, collection actions, civil litigation, and creditor harassment. The stay applies to all creditors including taxing authorities. Moratorium on Paying Debts. The debtor does not have to pay most pre-petition debts for a period of several months, until the payment plan is confirmed. However, the debtor may have to pay something towards certain debts, such as rent or arrears on secured debt, under certain circumstances. This breathing time is essential to permitting the debtor to concentrate on becoming a more profitable entity. First Day Orders. A debtor must obtain court permission to retain any professionals (such as the bankruptcy attorney), or engage in certain conduct. Since such court permission is necessary immediately, the bankruptcy attorney will prepare a number of applications and orders which are immediately presented to the designated judge on the day the bankruptcy is filed. These urgently needed court authorizations are referred to as first day orders. Although such relief is requested ex-parte, a judge will frequently direct counsel to serve all creditors, or certain parties in interest with the application and order, and will permit these parties to later oppose a continuation of the requested relief at a hearing. Other situations that may require first day orders include applications to pay pre-petition wages, use cash collateral, continue existing bank accounts, employ an accountant, or sell assets outside the ordinary scope of business. How Creditors Are Notified. About three days after the case is commenced, the court will mail all creditors an official notice of filing which will also set forth the judge, court, name of debtor’s attorney, and date for the first meeting of creditors. In addition, the court also sends a blank proof of claim form which the creditor may use to file a claim. About the author: Long Island Bankruptcy Attorney Craig D. Robins, Esq., is a regular columnist for the Suffolk Lawyer, the official publication of the Suffolk County Bar Association in New York. This article appeared in the November 2004 issue of the Suffolk Lawyer. Mr. Robins is a bankruptcy lawyer who has represented thousands of consumer and business clients during the past twenty years. He has offices in Medford, Commack, Woodbury and Valley Stream. (516) 496-0800. For information about filing bankruptcy on Long Island, please visit his Bankruptcy web site: http://www.BankruptcyCanHelp.com.